11oz mug. 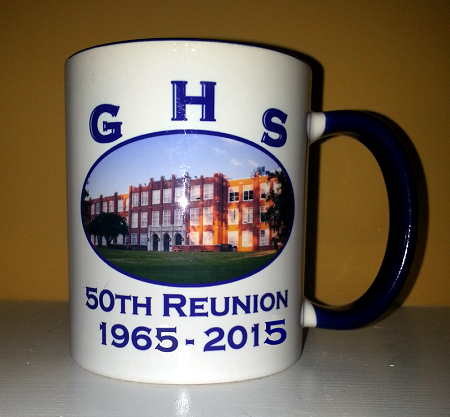 Vibrant blue on the inside imprinted with Grimsley High School and Class of 1965 - 2015 on the outside. 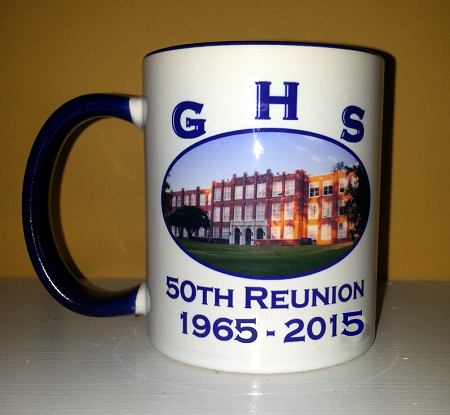 What a great momento for your 50th High School Reunion.